A dual-qualified employment lawyer, struck off as a solicitor last year for deceiving clients, has been disbarred for his “persistent dishonesty”. Jean Etienne Attala was found by the Solicitors Disciplinary Tribunal (SDT) last year to have deceived his law firm and his clients into thinking that he was pursuing their group employment tribunal claims, when in fact they had been struck out because of his inactivity. Describing it as a “a particularly serious case of dishonesty”, the SDT struck off Mr Attala, who was working as an employment lawyer for Thompsons, and ordered him to pay costs of £2,200. 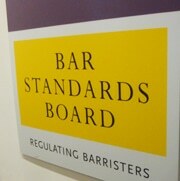 The Bar Standards Board (BSB) said that, as an unregistered barrister, Mr Attala’s conduct also came under its remit, and he had been disbarred by a Bar disciplinary tribunal, both for his dishonesty and not reporting that the Solicitors Regulation Authority (SRA) had taken action against him. Sara Jagger, director of professional conduct at the BSB, said: “Mr Attala’s persistent dishonesty, which affected hundreds of clients, was clearly an unacceptable risk to the public and did not reflect the high standards of trust the public should expect from the profession. A BSB spokeswoman said Mr Attala’s misconduct arose while practising as a solicitor in employment matters, liaising between workers, employers and trade unions. The spokeswoman said Mr Attala faced two charges at the disciplinary tribunal, the first relating to his conduct, for which he was struck from the roll of solicitors in September 2015. Mr Attala was admitted as a solicitor in 1991 and called to the Bar in 1994. Following the SDT hearing, a spokesman for Thompsons said: “When someone lies and covers their tracks, it is very difficult to uncover the deceit.